I added it to the conveyor belt. Later that day while the kids were playing, I sat with my feet in the kiddie pool flipping through the pages. I kept going back to the cover. There was something about that bold fuchsia, bright blue and warm yellow. Why yes Martha, that does feel like summer! A couple of days later I was browsing fabric online, as you do, and I came across this print by Anna Maria Horner. This print is not new, I know this print. Isn't it lovely? Suddenly I couldn't get enough. 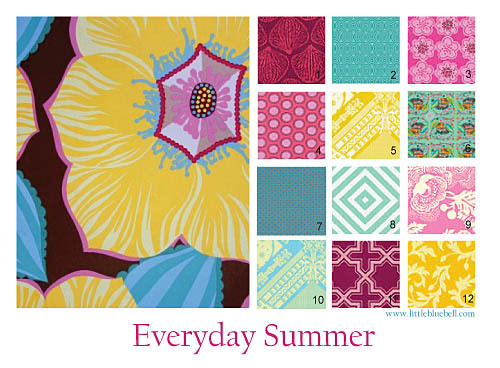 The next thing you know I was picking out coordinates and I had, "Everyday Summer". Great choices. I love those Joel Dewberry reds. Beautiful fabric choices. These do totally say summer to me! P.S. 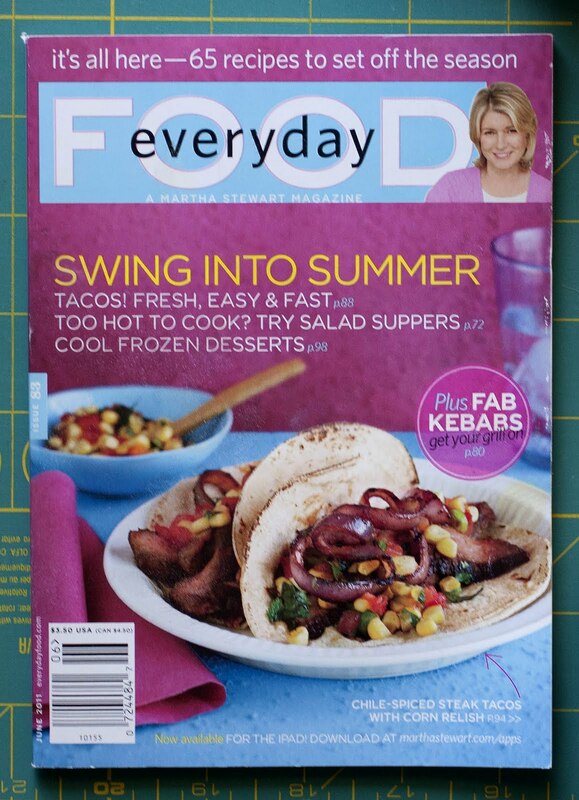 Love Everyday Food mag! It's my go to every week for new recipes and ideas. Even Lukas likes browsing them and is excited when a new one comes in the mail. Love the choices! Isn't it fun when inspiration shows up unexpectedly? Really nice group! Why don't you use this group for the Farmer's Wife? can you come over and do this in my stash? thanks.